The ‘K’-class was designed as fleet submarines capable of 24 kts surfaced. No contemporary diesels were equal to the task so steam turbines were fitted together with a diesel to drive the generator. Over a third of the hull was devoted to machinery. 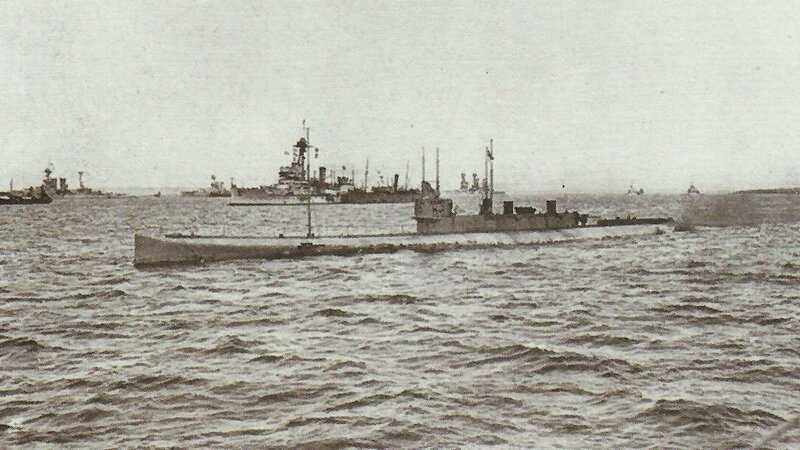 Britain: Royal Navy submarine K13 sinks on acceptance trials in Clyde, 47 men survive after 57-hour ordeal. East Africa: 160 soldiers of KAR (King’s African Rifles) besiege Fort Utete on river Rufiji; c.200 Germans escape on rainy night (January 30.31) and maul pursuit (February 2). Russia: Allied delegation (Lord Milner, Generals Wilson and Castelnau) arrives at Petrograd (until February 21). Switzerland: Prince Sixtus of Bourbon receives Emperor Charles’ peace letter from his mother (also Empress Zita‘s).